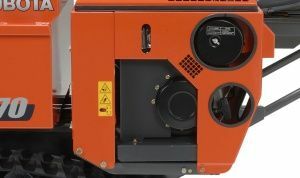 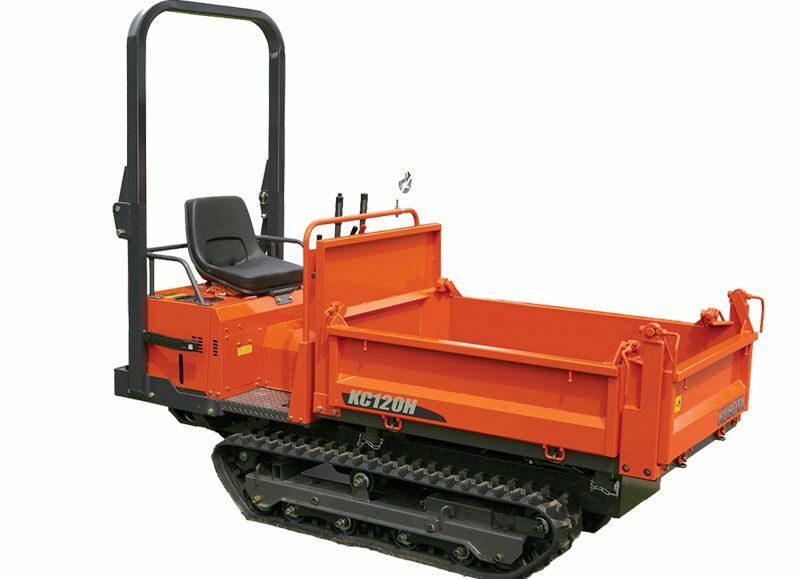 The Kubota KC70-4 Rubber Track Carrier is ideal for moving material through narrow/confined spaces, and in soft ground. 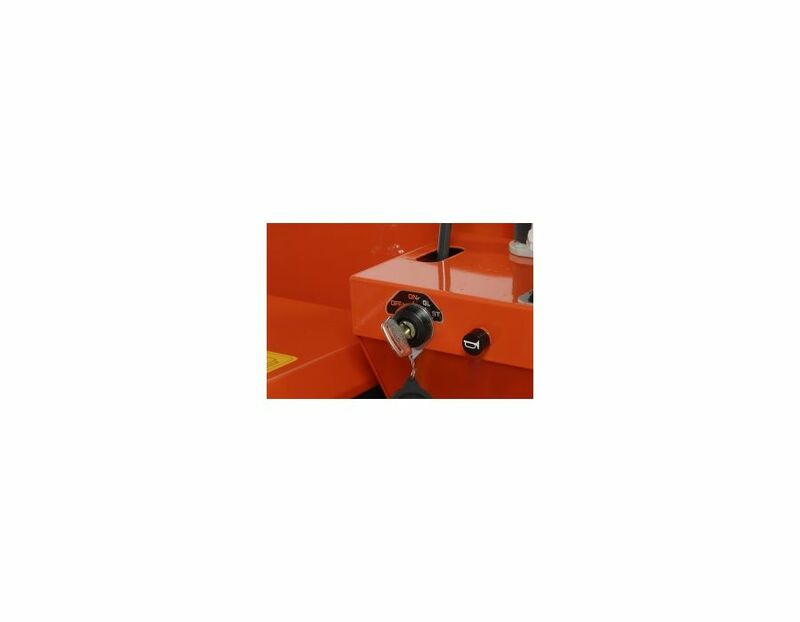 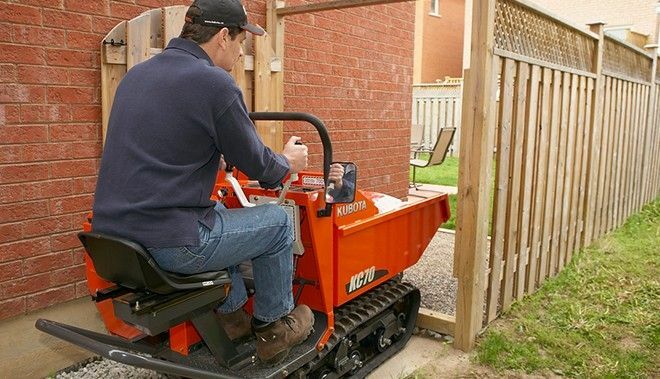 It can move material where wheeled machines can't, and with less compaction. 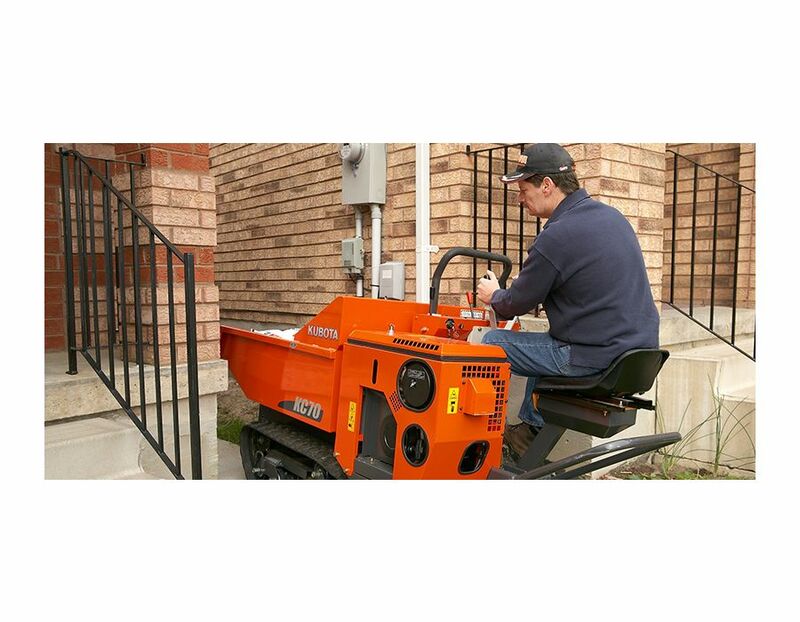 It's faster than wheelbarrows, and safer than stand-on machines. 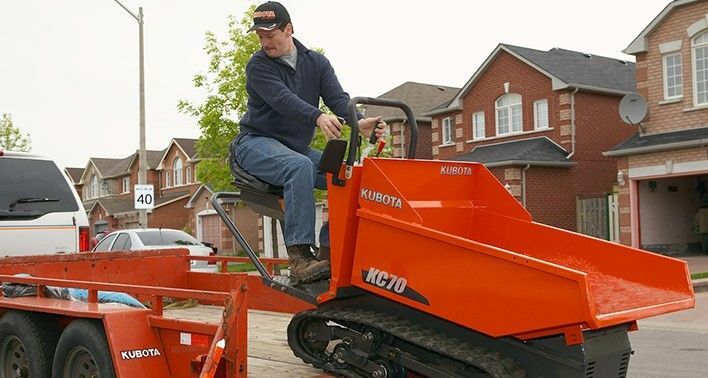 All levers and controls are easy to see and reach. 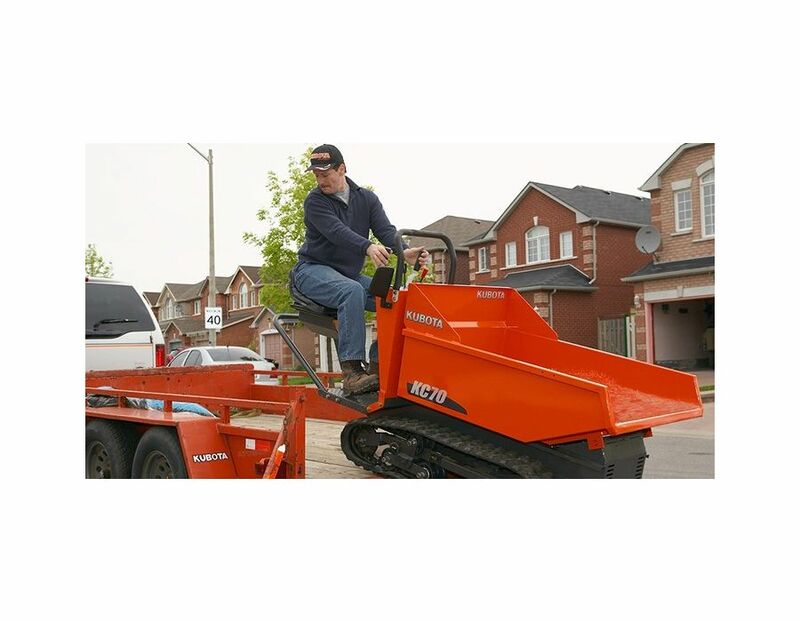 The adjustable seat provides safe, less tiring operation, and is protected by a bar when travelling in reverse. 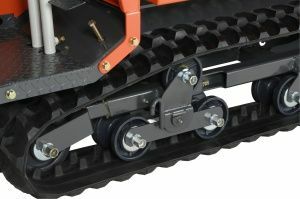 The built-in springs fitted to the tension adjusters absorb shock in order to help prevent damage to the rubber crawlers. 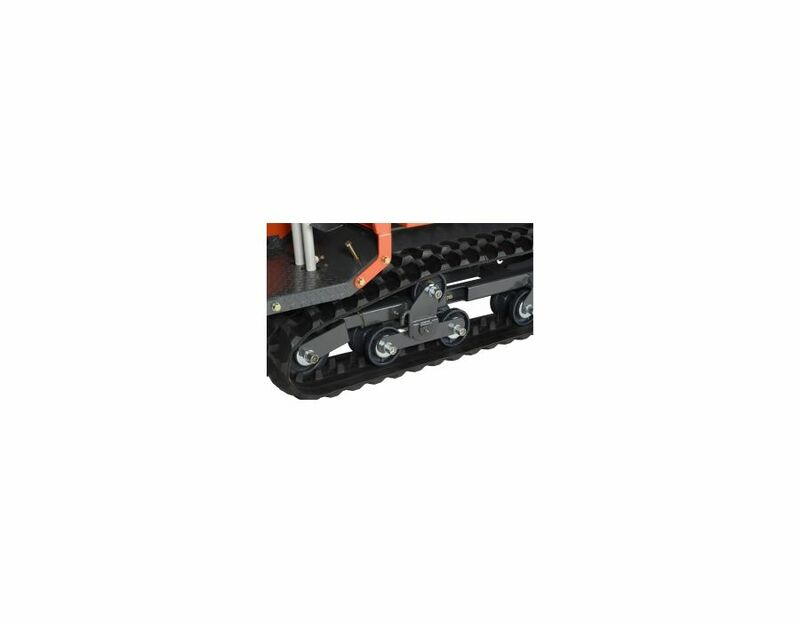 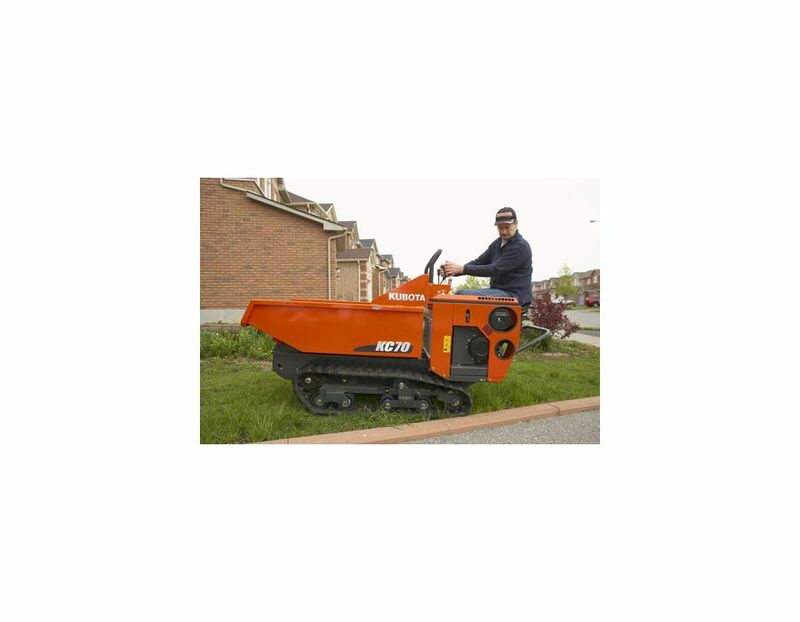 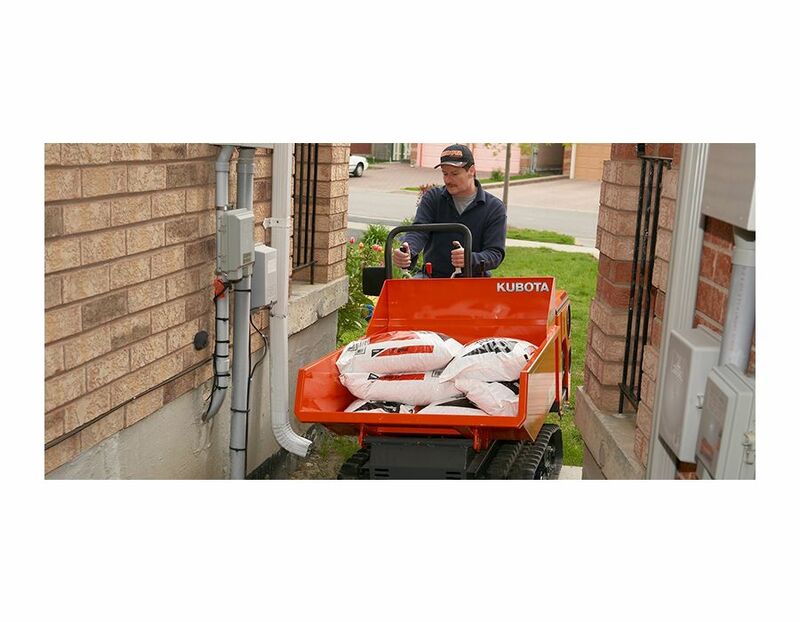 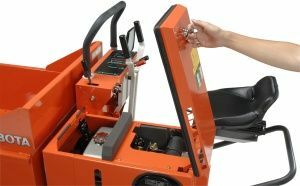 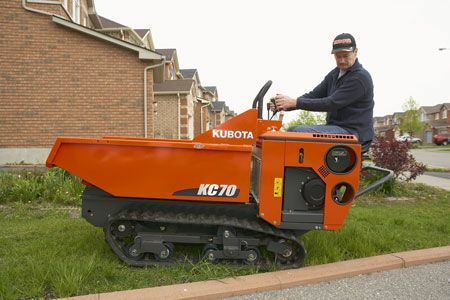 The Kubota KC70 Rubber Track Carrier is perfect for those small jobs. 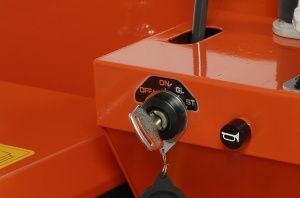 Upper engine cover - The upper engine cover opens fully for easy refuelling and locks for protection. 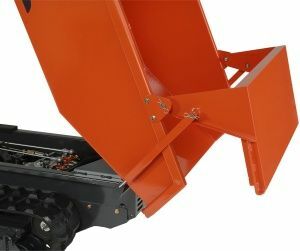 *Optional end gate kit - The end gate for the dump box helps keep wet material (such as concrete) in the box and it opens and closes as the dump box is movers up or down. 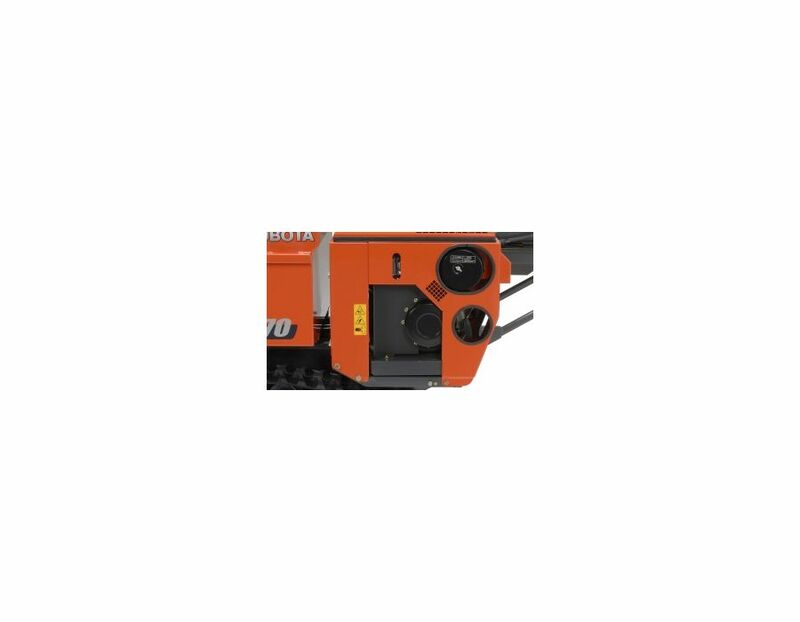 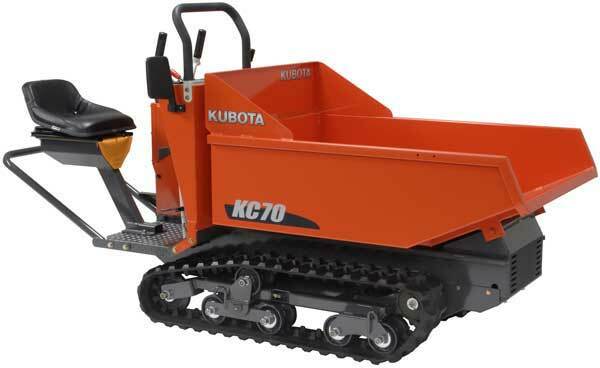 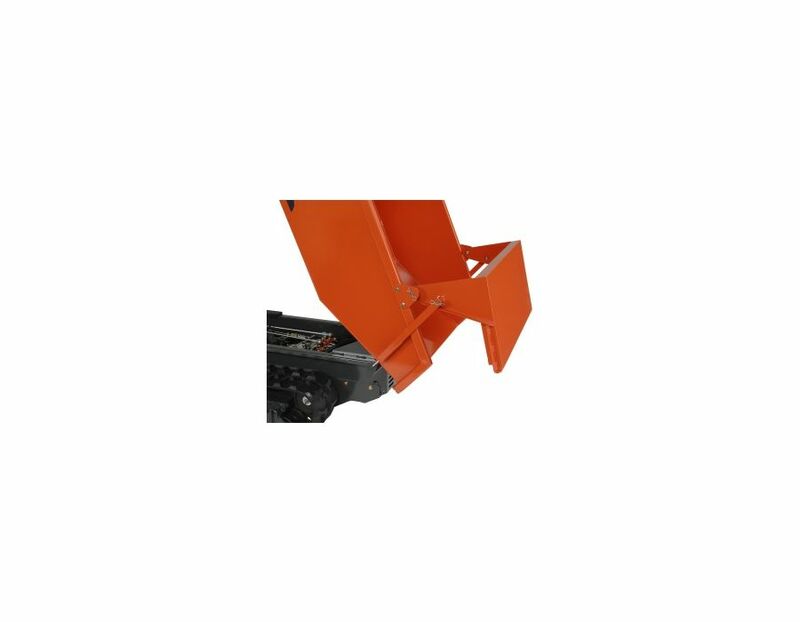 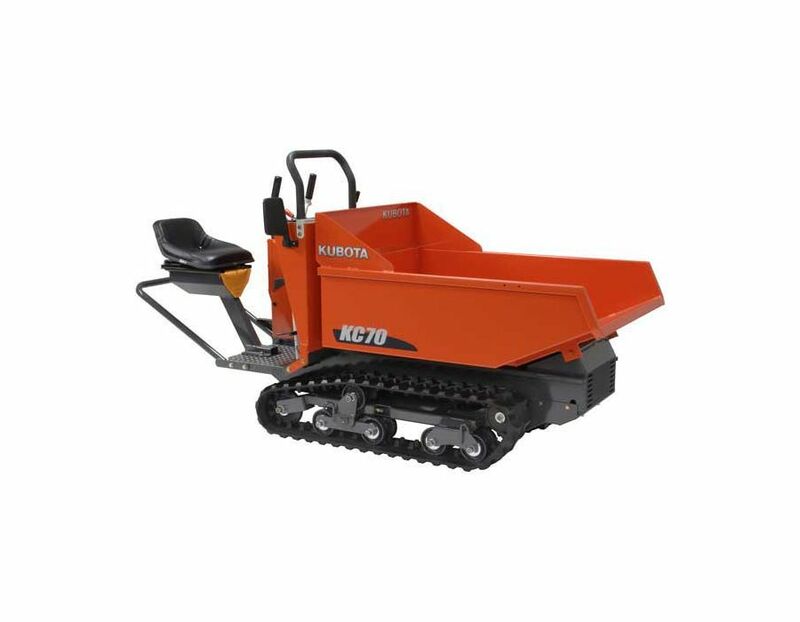 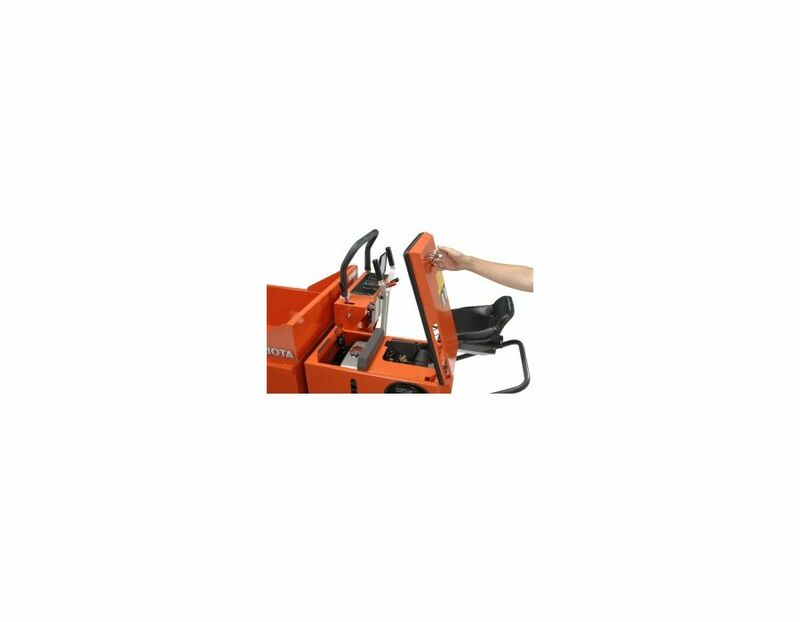 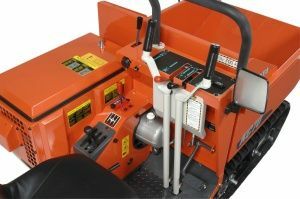 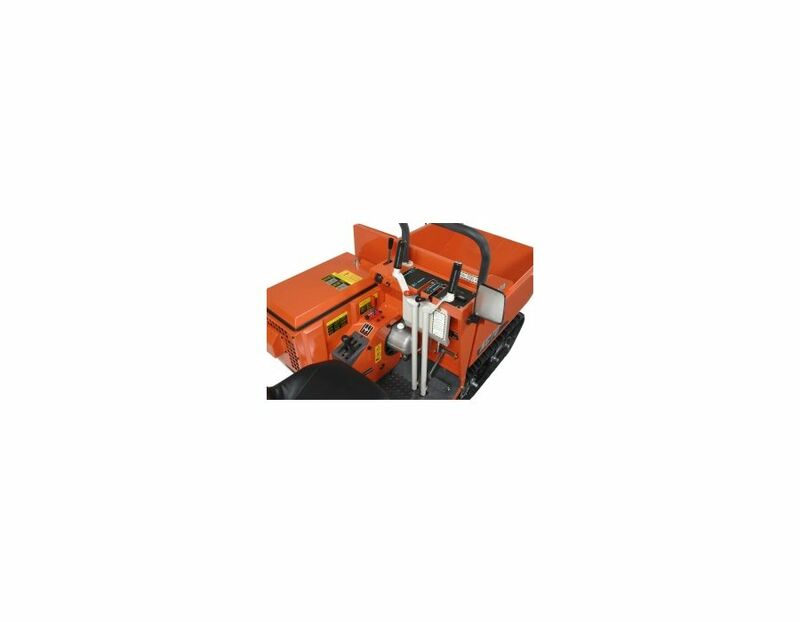 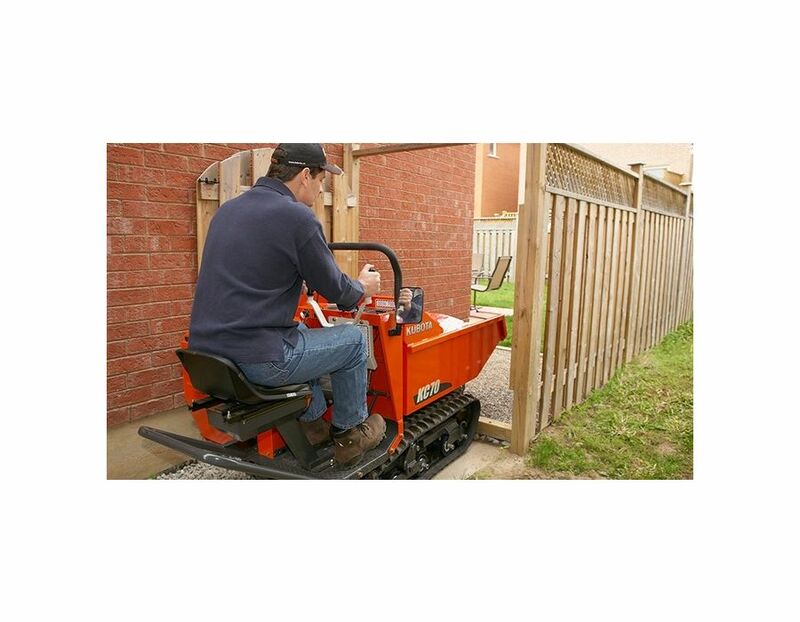 Overall dimensions - Length 95.1" x Width 34.6" x Height 51.6"
Cargo box dimensions - Length 49.2" x Width 32.3" x Height 13.8"
The Kubota Rubber Track Carrier KC 70-4 is available at Kooy Brothers Equipment Ltd, located at 1919 Wilson Avenue in Toronto Ontario.